The group! Amy,Alfonso,Erica,Shana! What a great ride! Happy 23rd Anniversary! Anne and Michael from Philadephia. My good friend Joe Toledo with my wife, Carol. I’ve known Joe since early 80’s. What a character! 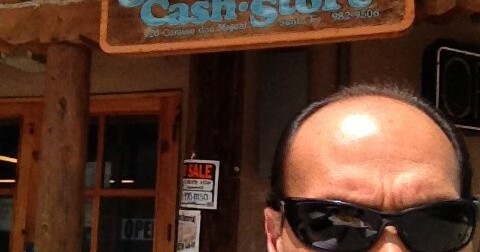 Stopping for green chili chicken and red chili pork tamales at Johnnies Cash Store! Bike stop at Johnnie’s Cash. Red chili pork tamales! THE BLUE SKIES OF SANTA FE! Perfect weather for biking in Santa Fe! Always a touch of Heaven!